It’s spring and many off-road enthusiasts are looking to find some new trails to explore. With the snow finally tapering off and the tracks beginning to become muddy, it’s the perfect time to chat with your off-road club members for their recommendations on new trails and mud holes. If you are not already a Jeep owner, it’s time to start looking at the large inventory of lifted Jeeps for sale at Keene CDJR to find the right vehicle for your off-road exploration. 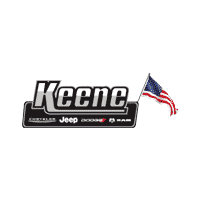 Keene CDJR prides itself on being passionate about modified Jeeps. Its trained specialists have the same passion as you for off-roading, along with the extensive experience and research to help you install after market parts, modify your Jeep, or repair it after a bruising weekend in the woods. Investing in a lifted Jeep Wrangler will give you the thrill of careening over even more obstacles on the trails. 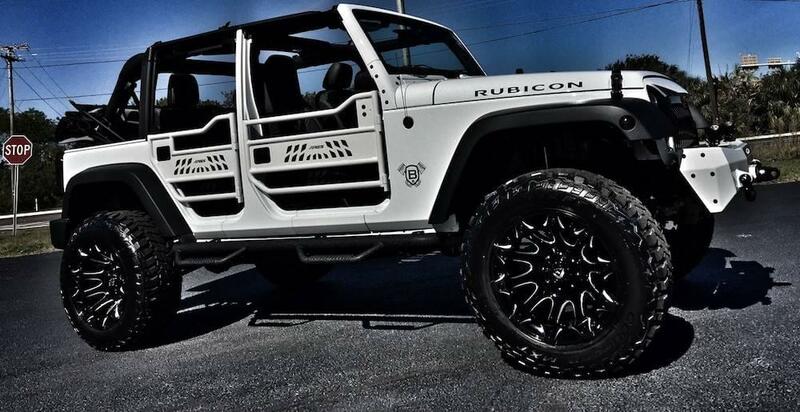 Did you know that the Jeep Wrangler is the world’s most popular four-wheeler for modification? Its inspired enthusiasts are always seeking a unique vehicle to call their own. Even if you have no intention of taking your prized lifted Jeep Wrangler off-roading, many owners just like the customized look of the vehicle towering a few feet over other vehicles on the road. Certainly a conventional Jeep Wrangler can take you on many exciting trips. You’ll have memorable rides along the beach, a back pathway, or rural trail. But without the vehicle lifted with larger tires and more room, there’s only so far that a standard Jeep can go. Purchasing a professionally lifted Jeep will give you more options and more excitement. If you need even more persuasion to purchase a lifted Jeep Wrangler, here are some additional reasons. For those of us who reside in New Hampshire, we embrace our credo, “Live free or die.” That said, owning a lifted Jeep Wrangler will let you enjoy your life even more fully. You’ll begin to explore parts of your state and its surrounding areas that you never knew about before. You’ll be trekking where the paved road ends and the unpaved road begins. After all, you have no interest in pavement or already-explored existing trails. Owning a lifted Jeep Wrangler will give you a sense of being part of an exclusive group. You’ll soon find that Jeep culture is a way of life and you’ll be hooked. You and your fellow lifted Jeep Wrangler owners will bond together and give each other advice on the best places to take your cherished vehicles. Like those who gravitate toward bungee jumping or sky diving, adventure runs through your veins. You enjoy being thrown, pummeled, and bounced in your lifted Jeep Wrangler. Mapping out a new trail, or using no map at all, is part of the thrill and excitement of owning your lifted Jeep. You are excited to conquer the unknown and bring your companions on a fun, unforgettable ride. Ever since you were a child, you enjoyed playing with oversize trucks or zooming your toy cars over and above other cars on your track. Now that you’re an adult, owning a 4×4 Jeep Wrangler is a long-held wish and a requirement. You are too much of an adventuresome spirit to conform to a conventional car. Buying a lifted Jeep Wrangler is like getting the best gift for Christmas and it’s all yours. Once you’ve purchased a lifted Jeep Wrangler from Keene CDJR, there’s even more that can be done to customize your vehicle to your satisfaction. Installing LED lights, choosing new rims, or adding tinted windows are a few of the ideas to modify your new lifted Jeep Wrangler. Grab handles are an easy accessory to mount to any roll cage tube and provide a safe way to either help you get into the vehicle or hold yourself in place. Highway riding pegs are an easy installation in a lifted Jeep Wrangler and Jeep CJ. Not only do they give you the benefit of having your leg in a new and more comfortable position, but they also give you the added benefit of allowing your leg to help you put your top on. Or to lend your lifted Jeep Wrangler an even more aggressive look, add Rugged Ridge spacers to give your Jeep a wider track and space your wheels out an extra 1.25-inch to help fit wider tires. If you are a Jeep Wrangler owner that would like to purchase a lift kit, a number of firms, including our dealership, offer them for sale. Keen CDJR dealership sells OEM lift kits, including 2″ and 4″ lifts, along with other off-road upgrades. In March 2017, BDS Suspension began shipping a full line of suspension lift options for 2017 Jeep Wrangler JK and Wrangler Unlimited JK models. The BDS Suspension kits are available in sizes from 2? spacer kits up to 6.5? 4-link long arm systems. These kits are a carryover from 2007-2016 Wrangler JK listings and have been confirmed compatible with the 2017 models. All BDS kits are designed to improve the performance, functionality, and curb appeal of the new model Jeep Wranglers without sacrificing drivability. All BDS lift kits are backed by Factory Protection Plus for BDS’s No Fine Print Warranty, 5-year 100,000-mile drivetrain warranty and FMVSS No.126 compliance. Another firm, Zone Offroad, is offering a new full lineup of suspension and body lift options for the 2017 Jeep Wrangler/Wrangler Unlimited JK. These kits are a carryover from the 2007-2016 Wrangler product line, now confirmed compatible with the 2017 Wrangler models. This diverse lineup of kits is designed to improve off-road performance while retaining on-road handling allowing for up to 35? tires to be installed (37? with fender modification). Kits have been FMVSS No.126 compliance tested and independently confirmed to not adversely impact the factory installed ESC System in your new Jeep Wrangler. This Zone Offroad lift kit is backed by Factory Protection Plus, the comprehensive extended warranty with a 5-year, 100,000-mile drivetrain warranty, FMVSS No.126 compliance and limited lifetime warranty on the lift kit. But the easiest method of all is to purchase an already-lifted Jeep Wrangler. It will allow you to take off immediately without any work or worries into extreme terrain. Spring is the perfect time to start exploring again.